The Hay Toolbox is a design by the Shane Schneck, who has skilfully established a perfect balance between functionality and aesthetics. Featuring one large main compartment, two smaller side compartments and additional storage options within the handle itself, the box offers numerous ways to store odds and ends. 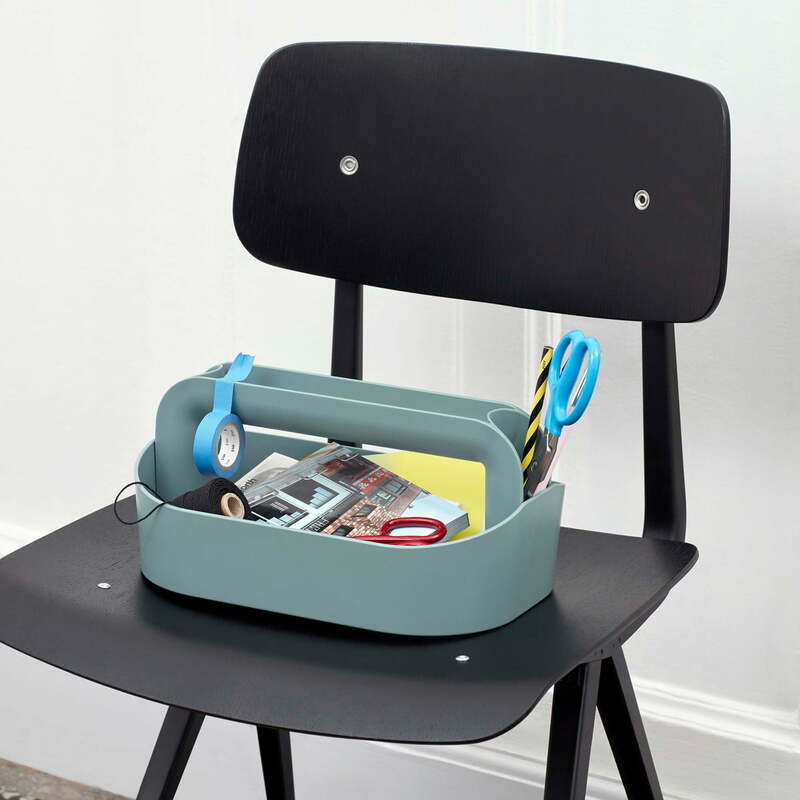 In the office, every necessary tool, such as calculators, block-notes and pens now have a practical sorage place that is portable thanks to the handle. This enables flexible working, with everything you need always at hand. At home, the Toolbox also has many advantages and can be used, for example, in the home workshop as a classic toolbox, in the bathroom to store cosmetics or in the kitchen to present oils and spices in an original way. Thanks to the simple design, the Toolbox can easily be introduced into various environments and can be completely customised. 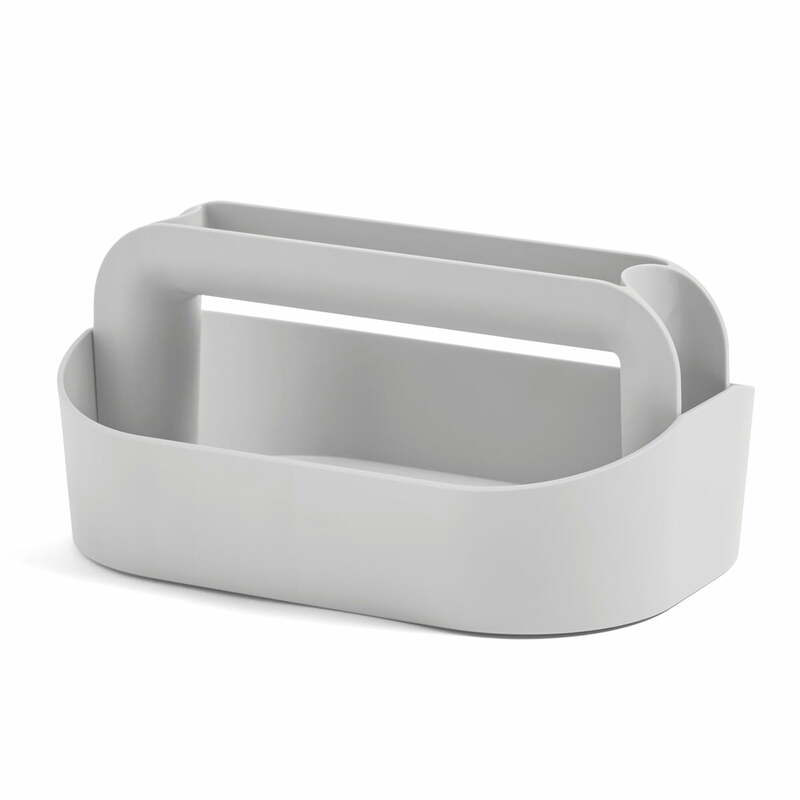 Isolated product image of the Hay - Toolbox, grey. Featuring one large main compartment, two smaller side compartments and additional storage options within the handle itself, the box offers numerous ways to store odds and ends. Isolated product image of the Hay - Toolbox, grey / dusty green. The Hay Toolbox is a design by the Shane Schneck, who has skilful established a perfect balance between functionality and aesthetics. Isolated product image of the Hay - Toolbox, grey / dusty green. In the office, every necessary tool, such as calculators, block-notes and pens now have a practical sorage place that is portable thanks to the handle. This enables flexible working, with everything you need always at hand.